Challenge yourself on the beautiful ultra-trail UTH50 or UTH100 or the **BRAND NEW H30 trail run through the mountain passes, along jeep tracks, through boulder ravines and over spectacular sand dunes of Ras Al Khaimah. It is a tough challenge and requires training, but generous cut-off times (24hrs for 100k, 12hrs for 50k, 5.5hrs for 30k) allow most physically fit, determined and well-prepared runners to get to the finish. Fruit, water and Aqualyte available approx every 10km. CP5 will be your opportunity to eat a hot meal where we will provide hot water for your own dehydrated food and we will have hot soup on the go. Commencing in 2019, no disposable plates or cutlery will be provided. As part of your mandatory kit you must pack a bowl and spoon in your CP bag(s). (Outside assistance is not permitted outside of the checkpoints, but supporters are welcome to assist you at any checkpoint, in particular CP5). 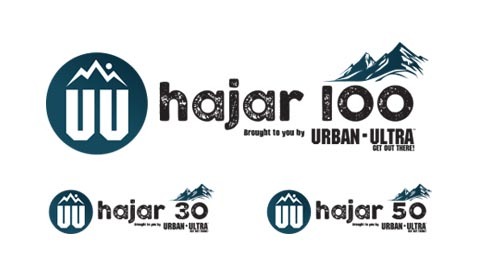 Make sure you are part of the only single-stage 30k, 50km and 100km trail run in the UAE! Your race pack will be available from AdventureHQ, Dubai from Feb 12th 10am to 10pm daily up until race day. Race packs WILL NOT be taken to the start point, PLEASE ensure you collect your pack before the event begins – it contains your chipped race bib, important information on start location and race course details. If you live outside of Dubai or are an overseas participant, you can indicate upon registration your request to collect on race day so that we can arrange to take your race pack to Race Check-In for you. PLEASE DOWNLOAD the documents below for full details and mandatory kit that you MUST have to participate. The official race start hotel for the bus pick-up and drop-off is the Golden Tulip Khatt Springs. Your options are staying at the hotel, driving to and from the site for the event or camping. (No campsite is allocated but you are free to find yourself a place to pitch your tent, there are plenty of lovely areas close by and up the mountain).